John is Of Counsel with Calcagni & Kanefsky. His practice is focused on business formation and strategy, including representing both buyers and sellers in the acquisition and sale of businesses, counseling clients in the formation of business entities and joint ventures, and providing practical legal advice on general corporate matters. John has extensive experience negotiating and preparing employment contracts for executives, designing incentive compensation arrangements and benefit plans, and negotiating and structuring financing arrangements. John also has substantial experience with complex tax matters. He regularly advises on taxable and tax-free mergers and acquisitions, and counsels on tax issues associated with closely held corporations, partnerships, limited liability companies, and joint ventures. His practice includes representing clients before the Internal Revenue Service, the New Jersey Division of Taxation, other state administrative agencies, and federal courts, and providing counsel on the tax consequences of settlements. John has broad experience as both a seasoned transactional attorney and an accomplished business executive. 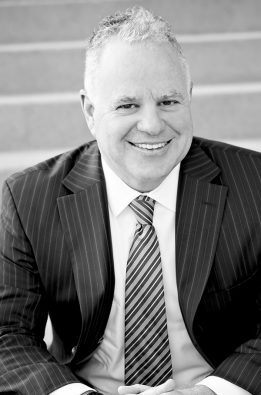 As a former partner in the transactional group of a large law firm, and with experience as General Counsel to two large privately-held companies, John is uniquely positioned to deliver integrated strategic, tactical, and legal advice to his business clients. John serves as outside general and corporate counsel for numerous businesses in a variety of industries including real estate, technology, hospitality, transportation, and insurance.